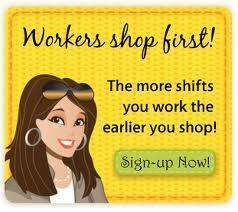 Consignors – NO DROP OFFS AFTER 3 pm on Tuesday! Private Sale Notice: No children under the age of 10 will be admitted to the 5:00pm private sale. First Moms Club Sale: No children or strollers. Infants may be worn in a baby carrier.